For generations, the youth of America have had the cultural moments they deserve. The &apos;60s brought the hippies, Woodstock, and free love. The &apos;70s gave us punk, disco, and the meaningful parts of John Travolta’s career. The &apos;80s brought greed, ambition, prep style, and drum machines. Thanks to Four Loko, the &apos;00s are now a crazy fantasy—a memory made out of sand and watercolor, blended with the delicious and fragrant beverage we have come to cherish as a generation—nay, as a nation. 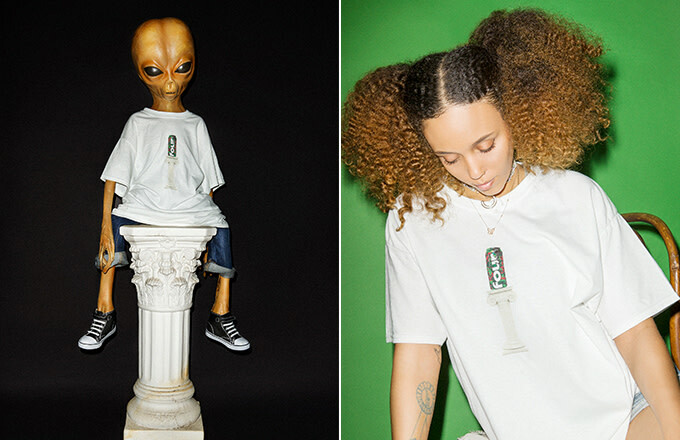 Four Loko is the cultural cornerstone of our time, and now they have partnered with creative collective and cotton kingpins PizzaSlime to bring the world what it needs: the “American as f*ck” capsule collection. 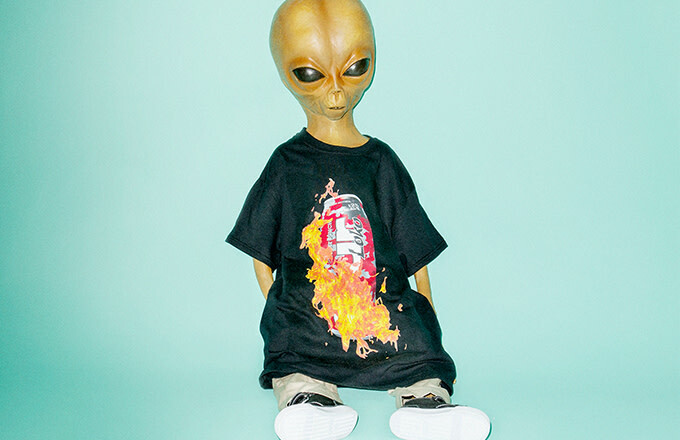 The collection is set to premiere at ComplexCon Nov. 5 and 6 in Long Beach, California, and the shirts are as brash as the Four Loko drinker and the PizzaSlime T-shirt wearer. The iconic and timeless camouflage can is highlighted by fiery flames, screeching eagles, rosy roses, and crumpled cans (the fate of empty Four Loko). And, of course, the can is placed on a Roman column, where it should always be. Stickers and a Votive can-dle will also be sold. ComplexCon attendees can look forward to in-booth art by Young Jake, and a huge throne (yes, a throne) of Four Loko made by @versace_tamogachi. 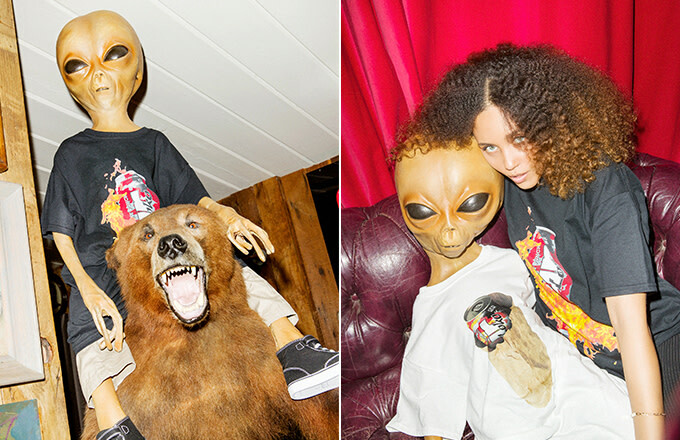 For now, lookbook photos, shot by Kenneth Capello and featuring Lil Mayo and Sarah Parker, are available for your enjoyment below.